5x fixed magnification with additional digital zoom Observe over 200m in low light or total darkness Capture 5 MP photos and record 10 minute videos Built-in infrared illuminator with 9 levels of brightness Weaver/Picatinny rail and threaded tripod mount View media on computer, TV, or on the monocular Supplied with 8GB micro SD card (32GB max.) 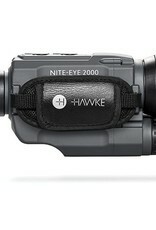 Hawke two year warranty. Power: 5× Objective: 40mm Power Supply: 1x 3.7V 18650 Lithium Battery Field of View: m @100m / ft @100yds 8.7m / 26.2ft Operating temperature: -10° to 50° C / 14° to 122° F Megapixels: 5MP Video Resolution: VGA (640x480) Length: 160mm / 6.3″ Weight: 320g / 11.3oz Nitrogen Purged - Waterproof and Fog Proof. 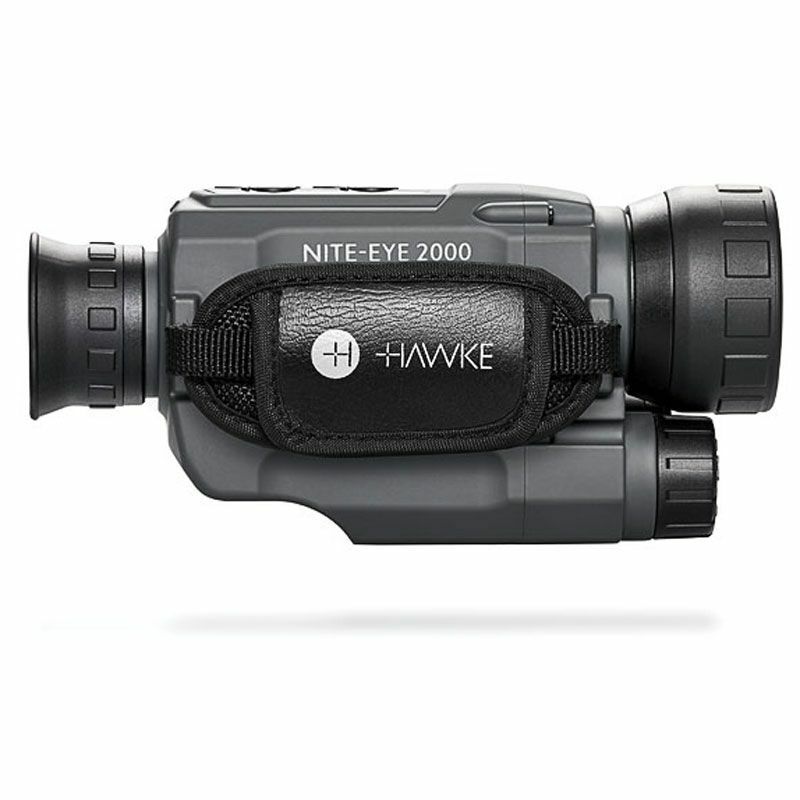 The Hawke Nite-Eye 2000 monocular is the perfect optical device to enhance your vision at night. Capture still images and record videos in complete darkness. An adjustable builtin infrared illuminator enhances your view in darker conditions without being visible to the naked eye.